Pete Scarpelli came to Purdue’s Krannert School planning to land a job in the world’s growing financial markets, but after taking a course taught by Professor Charlene Sullivan, he found himself on a career path that spans even more of the globe – the business of energy. That success led Scarpelli to cofound his own company, RETX, and invent a product designed to match wholesale power market prices to energy consumers. The company was acquired in 2008 by Schneider Electric, where he helped develop smart grid and demand response opportunities in the U.S. and global markets. 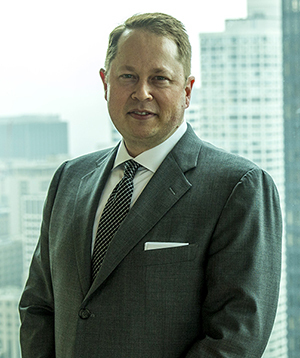 Based in Chicago, Scarpelli joined CBRE in 2010 and is focused on managing $10 billion worth of energy spending annually for Fortune 500 and investor owned multi-tenant buildings. “The key is having a strategic approach and data-driven operations that allow us to allocate our clients’ capital where it has the greatest value,” he says. Scarpelli says business analytics and information management also is advancing existing technologies. “Occupancy sensing has been around for a long time – you walk into a room and all the lights go on, for example,” he says. “But today the sensing capabilities are actually embedded inside lightbulbs, so the data we extract and analyze is more valuable.